Prof Noakes and The Noakes Foundation are at it again! Last weekend marked the launch of the world’s first LCHF/Banting/Keto Training for Professionals. 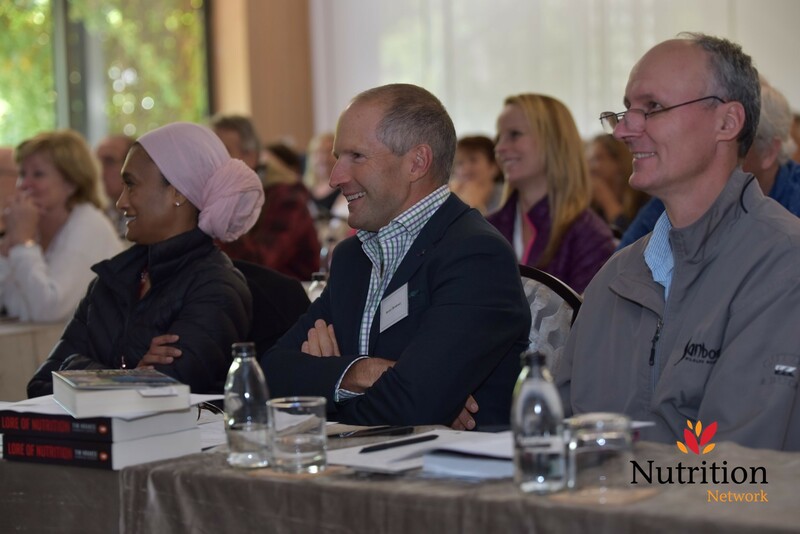 The Nutrition Network, designed to support medical professionals and allied health workers in implementing LCHF (low carb high fat) eating in their practice, concluded on Saturday and was held at the beautiful Vineyard Hotel in Newlands. The two-day conference featured an impressive line-up of speakers from a wide range of medical fields, including the founding Medical Board of the Nutrition Network, Prof Tim Noakes, Dr Neville Wellington and Dr Hassina Kajee. In total, 13 medical experts shared their expert insights into an LCHF diet to a sold-out audience of attendees who work in the medical or health fields. ‘This is the healthcare of the future: an informed forum where we talk about the important issues of nutrition, research, and human health and work together for better collaborative outcomes. I am so excited at the possibility of 70 doctors and allied health workers taking what they learned into the world. Our focus is on having better conversations around health and diet, with the view to effect real improvements in the quality of life and to save the government potentially billions in the treatment of chronic disease in the process’ said Jayne Bullen, COO of The Noakes Foundation who MC’d the event. ‘We hope for this platform to grow into meaningful, constructive debate and knowledge-share that makes a difference while informing and funding much-needed research’. A few of the key themes included the obesity and diabetes epidemic in the high care unit, treating diabetes with nutrition instead of medicine, LCHF for athletes, how to implement the diet successfully and the role of statins and cholesterol in cardiovascular diseases. The talks spanned a wide variety of topics, highlighting how an LCHF diet can make a big difference in many situations. Doctors were also given a talk on what is legal in terms of patient advice and social media by Adam Pike who has walked through the HPCSA journey hand in hand with Prof Noakes. The content of the talks shall serve as guidance for the development of the Online Professional Training Course, which will be launched soon and will provide training in how to implement the LCHF diet as a healthcare professional. The course is part of the Nutrition Network platform, covering the latest and most up-to-date science and research in the field of low carb nutrition and will form the basis of a more rigorous certification path for doctors in the future. During the conference, attention was also brought to the fact that a healthier, more balanced diet should be accessible to everybody including the under-resourced communities. Speaker and Nutrition Network board member Dr Hassina Kajee shed light on the current efforts employed by The Noakes Foundation to make this possible – namely the Eat Better South Africa (EBSA) community education program. The feedback received so far indicates that the conference was very well received. One of the attendees said: ‘The best, most informative training conference I have ever attended. Prof Noakes and his dedicated team are doing a sterling, altruistic job spreading the truth to get our nation healthy again!’. This conference was just the beginning of the Nutrition Network, watch this space.